That was fun. I am sorry to see it end. Or a tearaway desk calendar! This has been a fantastic journey. I’m going to miss having it as a daily thing, but it’s great to have as a reference. Thanks for sharing all these with us! Is that image from Cemetery Man? I predict one more posting – for February 29th, 2020. It’s been great. Thanks for all of the unspeakable horror! Thanks for the tour of horror film! Thanks for this project. I’m not a huge fan of the horror genre, but your entertaining comments convinced me to watch a few of the featured films. Farewell, HED; you will be sadly missed. I’m going to use this anytime I hear “Let’s watch a movie”. It’s perfect all around, and I am very happy. I enjoyed that too, even the hours you made me waste watching some terrible films. May I politely request a proper index page? Currently it’s impossible to find a film other than guessing which day it was, and search engines can’t read the film titles in the images. I’ve started going through and commenting the title/titles of the film/films on every day, as the comments are recognised by search engines. That was a very fun project to follow. I’ll miss it daily, but thank you for doing it! Next up, Costume Drama Every Day! 365 British adaptations of books featuring people in historical outfits! Great project, thank you. I have enjoyed keeping up with it all year! Best of luck with your future projects. Thanks for the recommendations, and great work! I can’t wait to see what you do next! 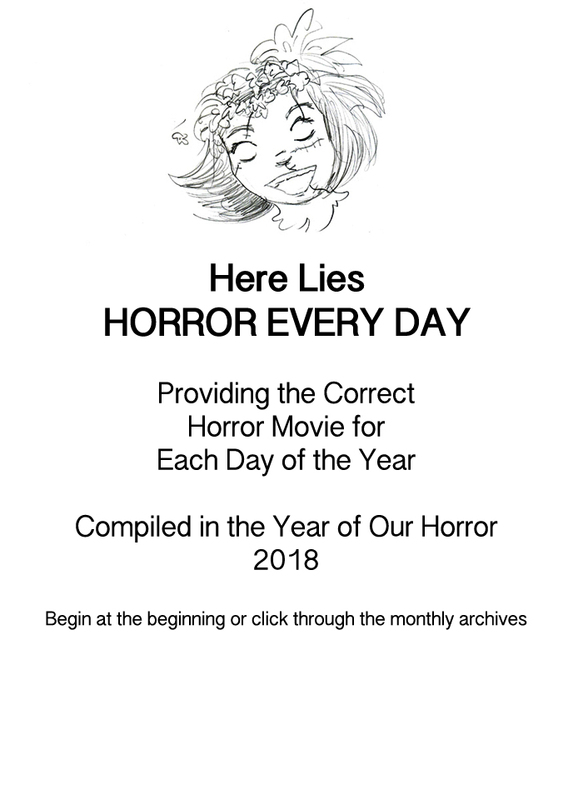 Thanks for all the horror!